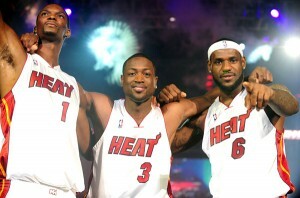 The Miami Heat remains undefeated at home for the NBA playoffs and finals. Game 1 is in the books. The Miami Heat dominates the Dallas Mavericks 84 to 92. Dwayne Wade and Lebron James teamed up for a combined 46 points for Miami in tonights game.